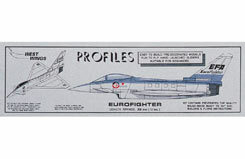 All Products > "A-WW420 West Wings Eurofighter Typhoon Profile Kit"
This EFA Tyhoon is designed to give the younger modeller hours of fun with minimal effort. 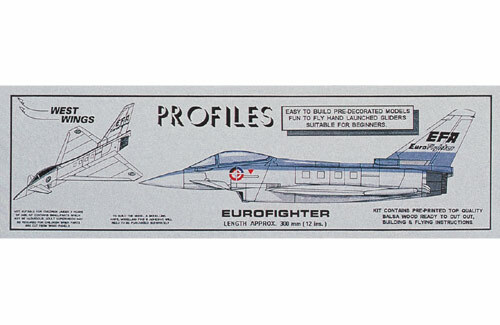 Constructed from pre-printed sheets that do not require painting. All you need is a handful of pins, some balsa adhesive, and a modelling knife. A great performer with a 'flavour' of the original full size aircraft. Please Note: This is a kit, not an ARTF model.